For nearly seven years I’ve been a backer of New Jersey’s Governor, Chris Christie. 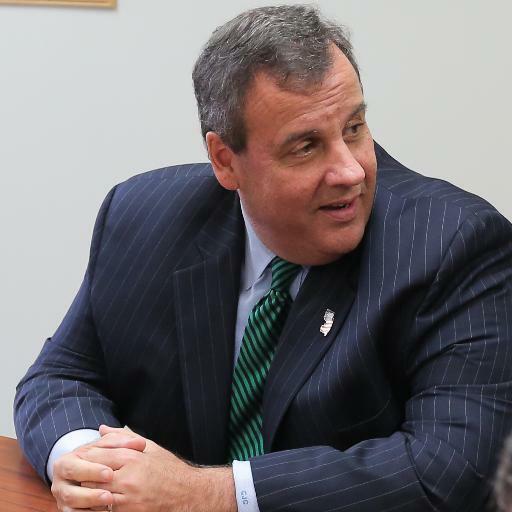 He’s been a strong advocate for the overburdened taxpayers in the Garden State and taken on battles that prior Governors were too weak or ineffective to tackle. Until now. For several months he’s been harping on the idea that the only way to fix the roads and bridges in our state is to raise the tax on gas. That’s right, billions of dollars misspent in Trenton and every special interest group with their hand out and the burden is on working class commuters to solve the mess. Unacceptable. You should be outraged. I know I am. There have been proposals to save the state millions. One from Senator Jen Beck that could save upwards of three billion dollars by changing the health care offerings for state and municipal workers and re-negotiating with teachers. Maybe allocate part of the current sales tax, which the Governor is quick to want to cut in the name of “Tax Fairness”, toward the aging infrastructure. Do you know that the budget takes in an estimated $1.5 billion for each percentage point of sales tax? And in order to save you the equivalent amount of money that the hike in the gas tax will cost you, the average New Jersey commuter would have to spend $40,000 in taxable items a year. c’mon! How unrealistic and insulting. There is nothing ‘fair’ about the proposal at all. What’s worse is the democratic led legislature won’t entertain a full 1% cut, they’ll only consider 1/2 or a percent. Perhaps what makes me most mad is that the Governor as recently as a few months ago dismissed the crisis of the Transportation Trust Fund financial situation saying on ‘Ask The Governor’ he’ll just allocate money from the general fund as has been done in the past. The Governor is willing to force you to spend more money to fix a problem that has roots in decades of mismanagement, overspending and a complete failure to prioritize. The bigger problem is that the cowards in the legislature on both sides of the aisle lack the creativity and the courage to stand up to Christie, Sweeney and Prieto, so the tax may just be headed our way. An increasing tax burden on working class New Jerseyans and absolutely ZERO change in the spending practices in Trenton. You know what that means…billions more added to the already out of control state debt and higher taxes down the road. If only there was a champion in New Jersey that would fight for us…anyone? This entry was posted in On The Radio, The Daily Point and tagged Ask The Governor, Chris Christie, Gas Tax, Jennifer Beck, NJ101.5, Steve Sweeney, Transportation Trust Fund, Vincent Prieto. Yes there is a champion for New Jerseans Senator Mike Doherty!!! He has a long history of fighting for the taxpayer even if it means being the ONLY NO VOTE in the Senate. He’s not afraid to take on his own party or the Governor, yes he’s our Champion !!! !